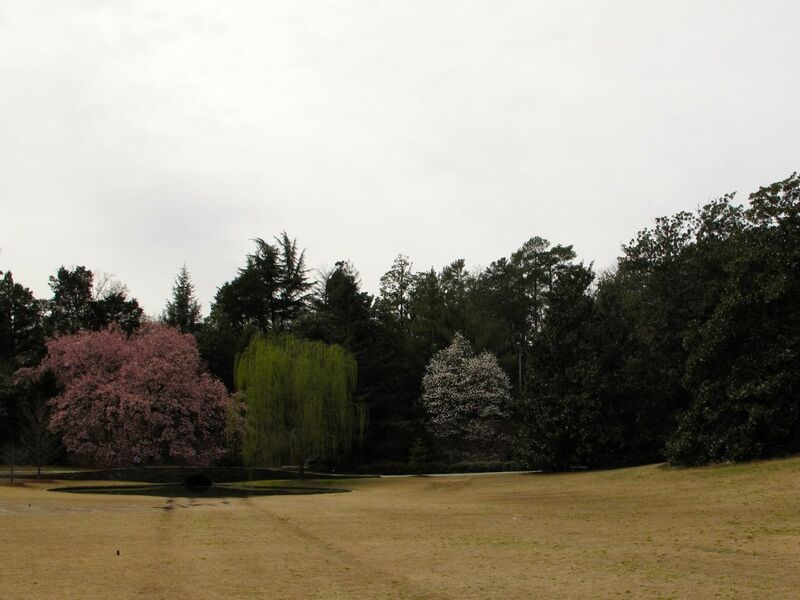 To celebrate the first day of Spring yesterday, we went headed to nearby Durham. First we viewed a photography exhibit at the Nasher Museum of Art on the Duke campus and enjoyed lunch at the museum cafe. 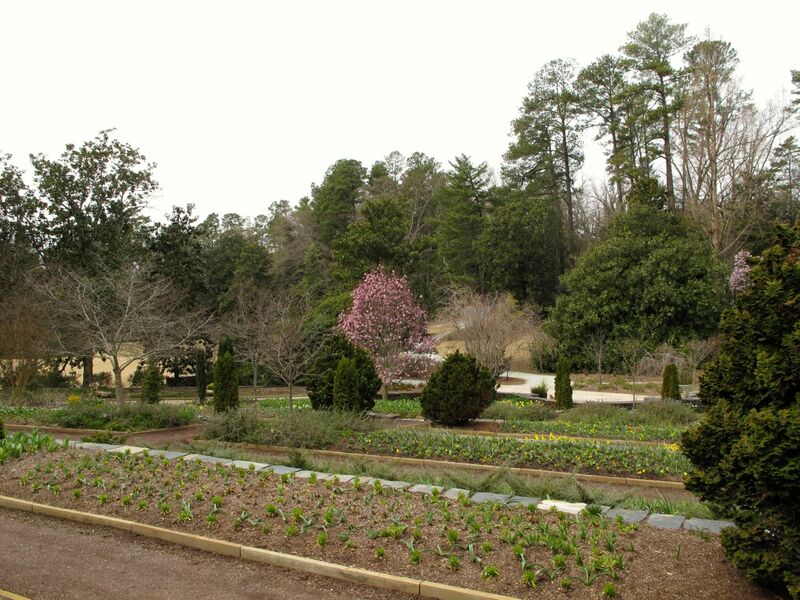 Next we went to see early spring flowers in the Italianate-styled terraces of the Sarah P. Duke Gardens. 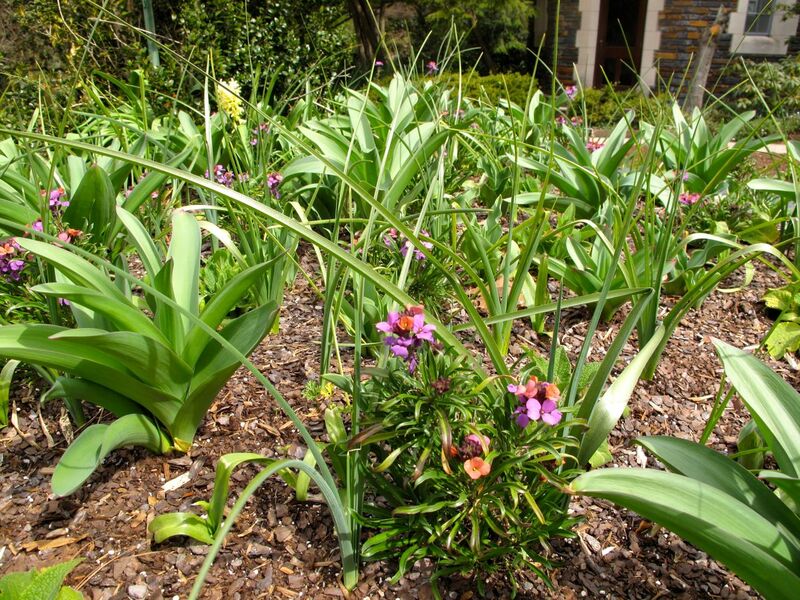 The beds here are planted with annuals and bulbs. 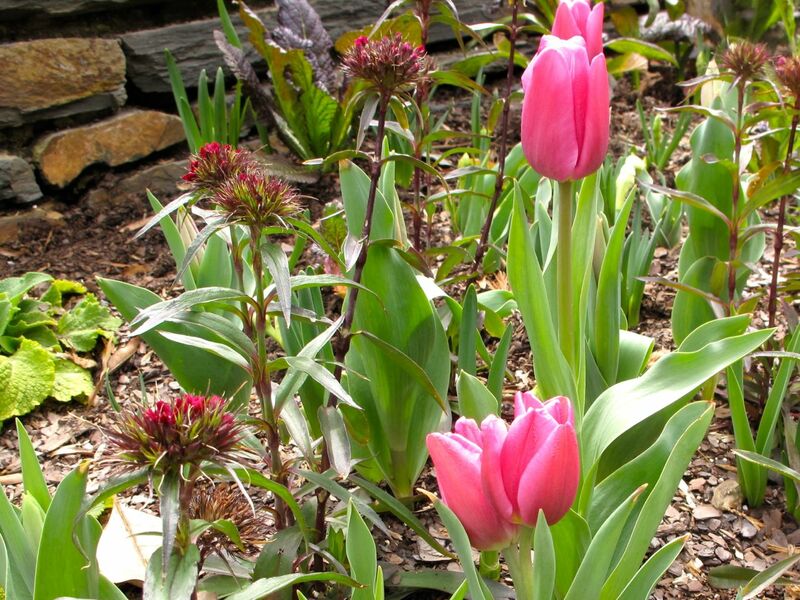 Last year when we visited these gardens the tulips were just past their prime and this year we were early. Still there were many pleasures to behold whether looking close-up at the plants or taking in the long views. The day was partly cloudy and I felt a bit cool, that is until we met a woman from Indiana who told us she had left home the previous day in 9°F. weather. She and her daughter were wondering the name of these eye-catching blooms. 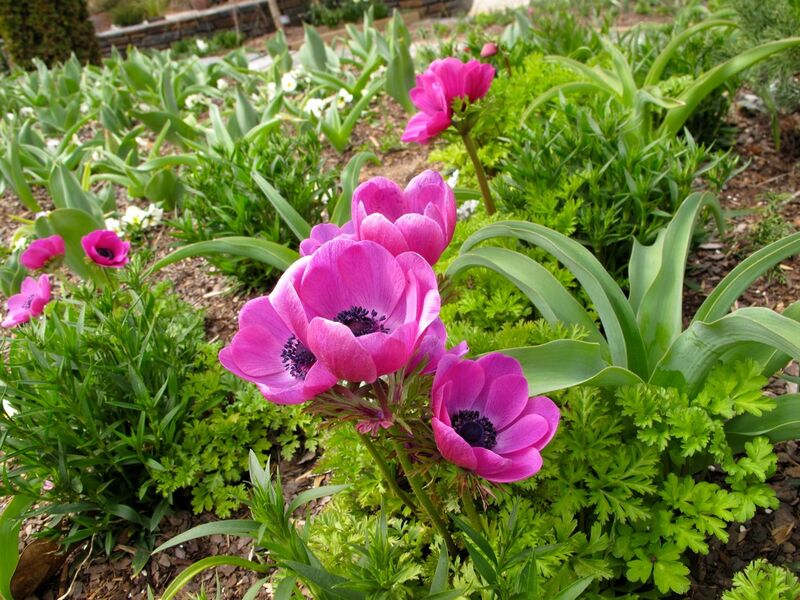 I had admired this plant earlier and was able to identify it as Anemone (Anemone coronaria ‘Lord Lieutenant’). 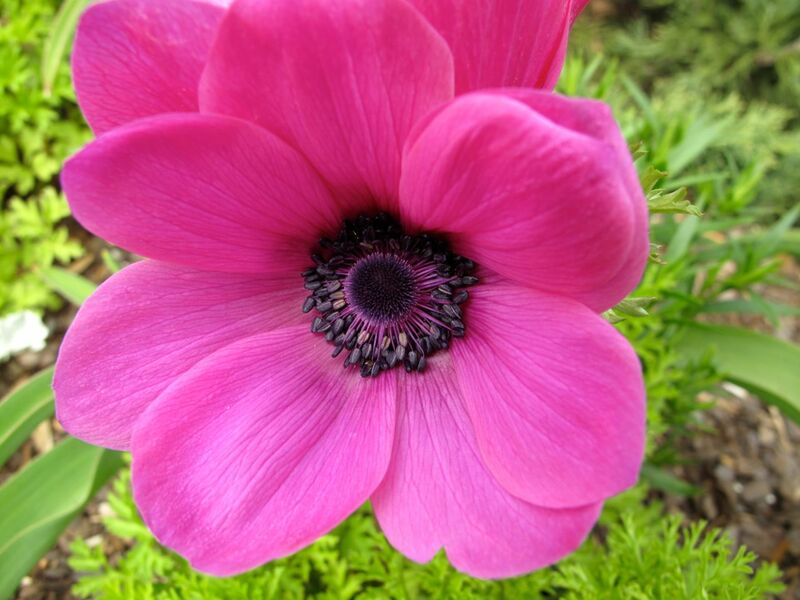 Anemone ‘Rosea’ (Windflower) was also striking. At the bottom of the terraces is the fish pond, a favorite spot of small children and and grown-ups alike. To the right of the pond was a wonderful Witch-hazel. 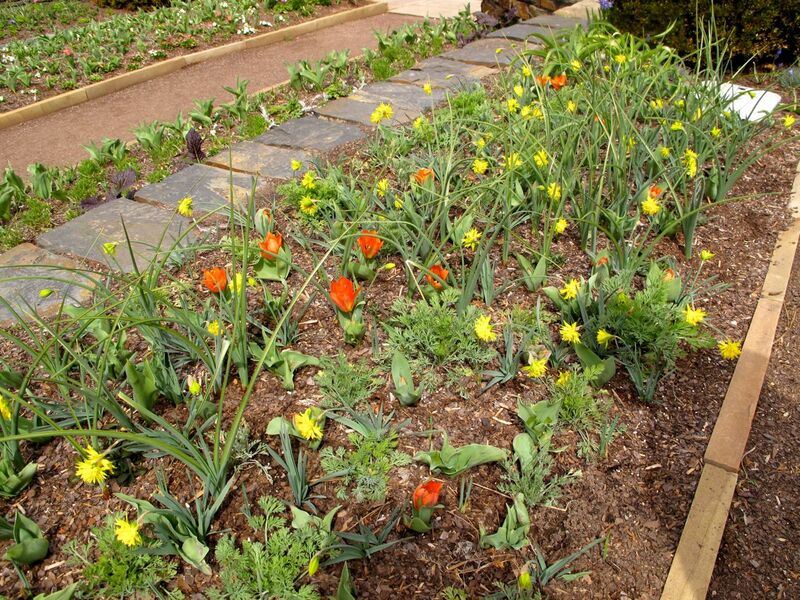 Working our way back up the terraces, one planting I particularly admired was this mix of daffodils and orange tulips. 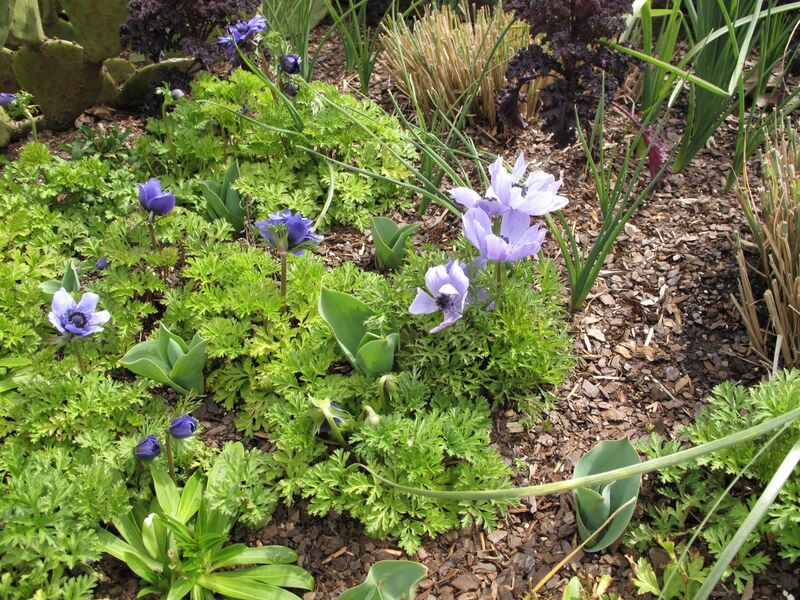 There were many Erysimum (Wallflowers) interspersed with tulips in the beds. 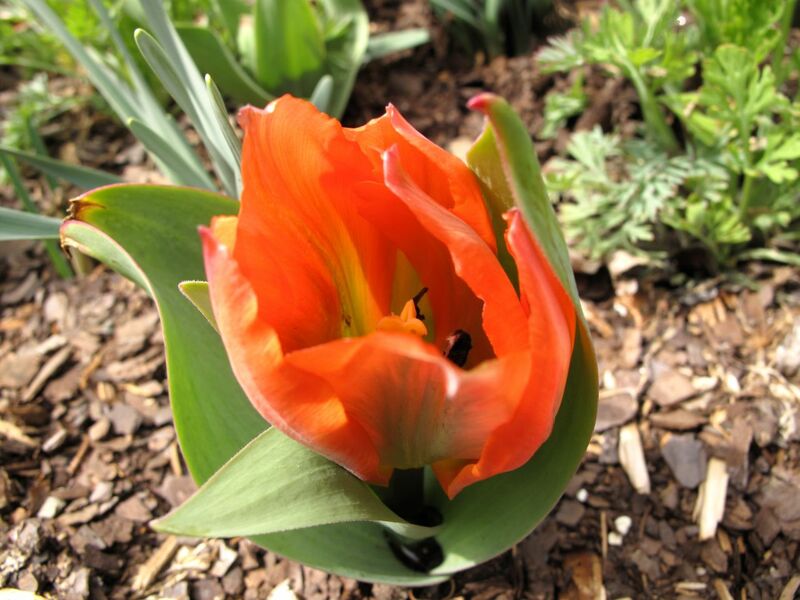 Since most tulips were not open we will have to return to see the full effect. 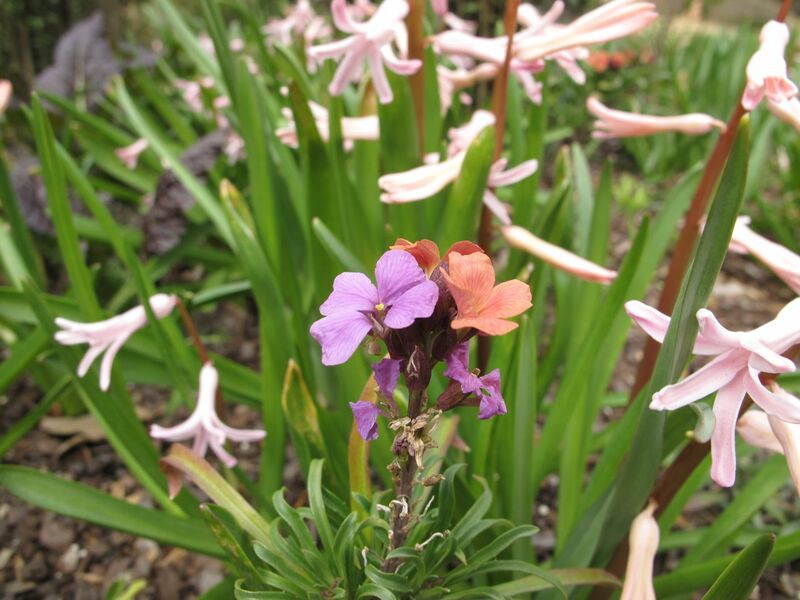 One combination of Erysimum with a salmon-pink Hyacinth was lovely. Sweet William is an old-fashioned flower that I just love. I imagine it might be April before the Wisteria Pergoda at the top of the terraces blooms. 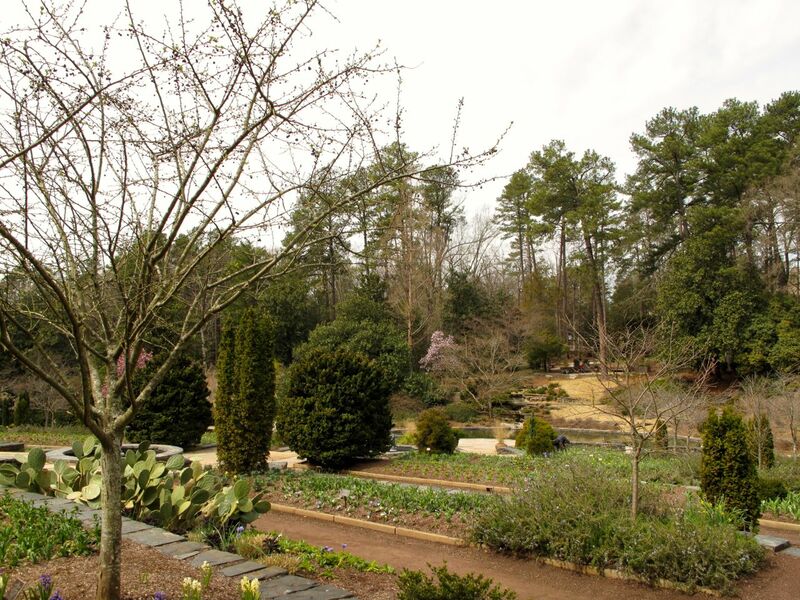 Another reason to visit this garden again. 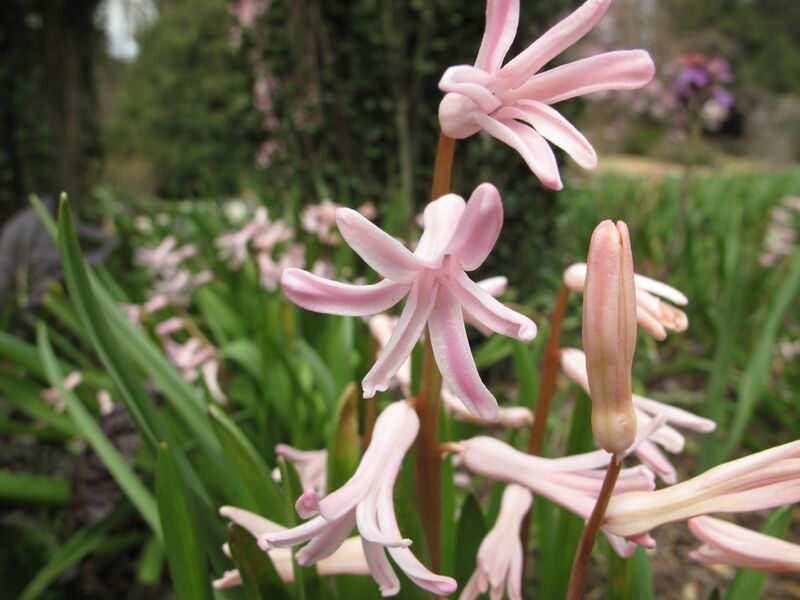 Our spring celebration continued last night at North Carolina Botanical Garden Director Peter White’s presentation of the natural history of Robert Frost’s poetry. 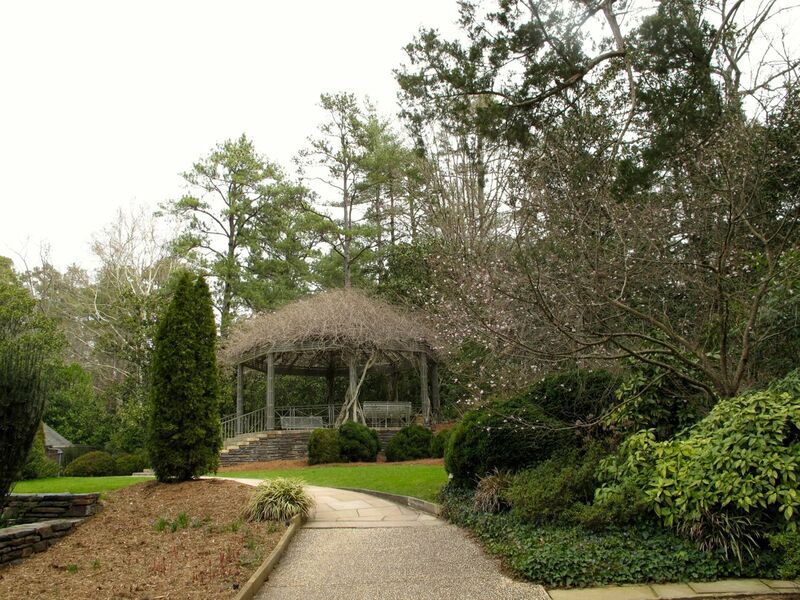 Robert Frost visited Chapel Hill for many years to give readings in celebration of spring and walked the woods here. His knowledge of plants is evident in his poetry as White illustrated during his talk. 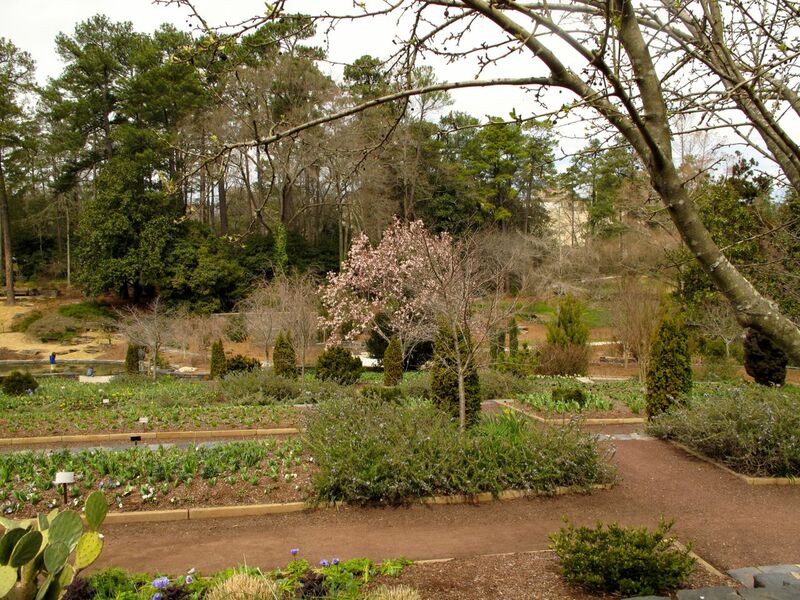 This entry was posted in garden and tagged favorite gardens, nature photography, NC Botanical Garden, peter white, photographing nature, public gardens, robert frost, Sarah P. Duke Gardens, Spring Flowers, spring garden on March 21, 2013 by pbmgarden. 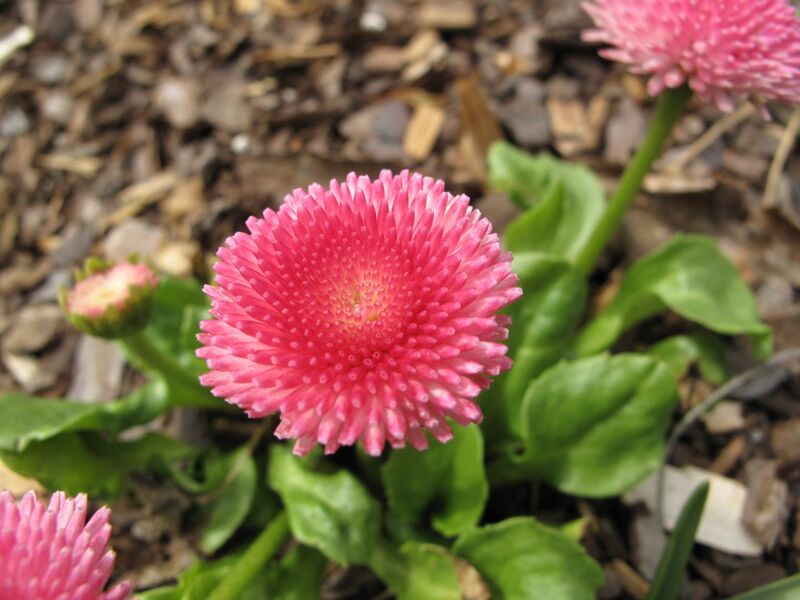 Thanks for the name of the Bellis Cathy. It seemed so cute but I don’t remember ever seeing it before. 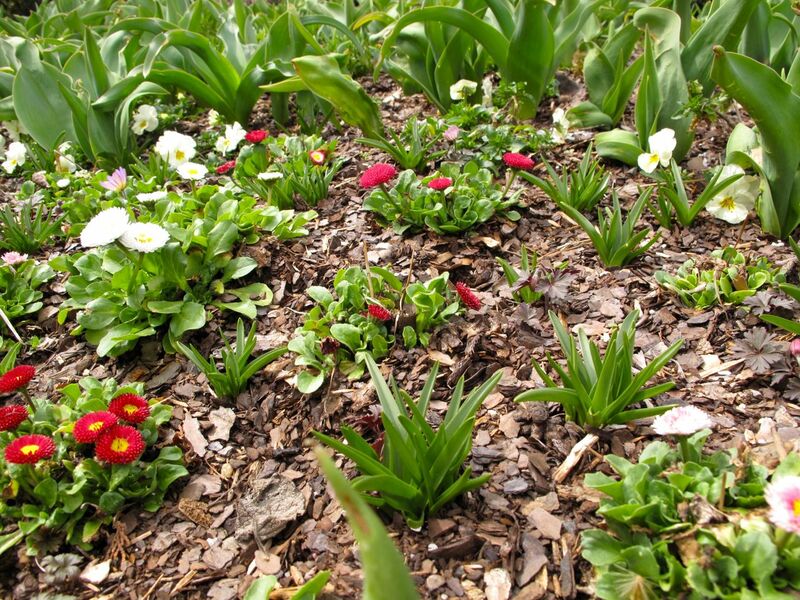 I am pretty sure your flowers are Bellis perennis, a perennial lawn daisy sometimes grown in rock gardens. Thanks for the Bellis identification. It’s much nicer to know the name of a thing. Will be looking for a Lord! I have some Lords on order, but am frustrated they’re not already planted and blooming. Hope you find one or more! 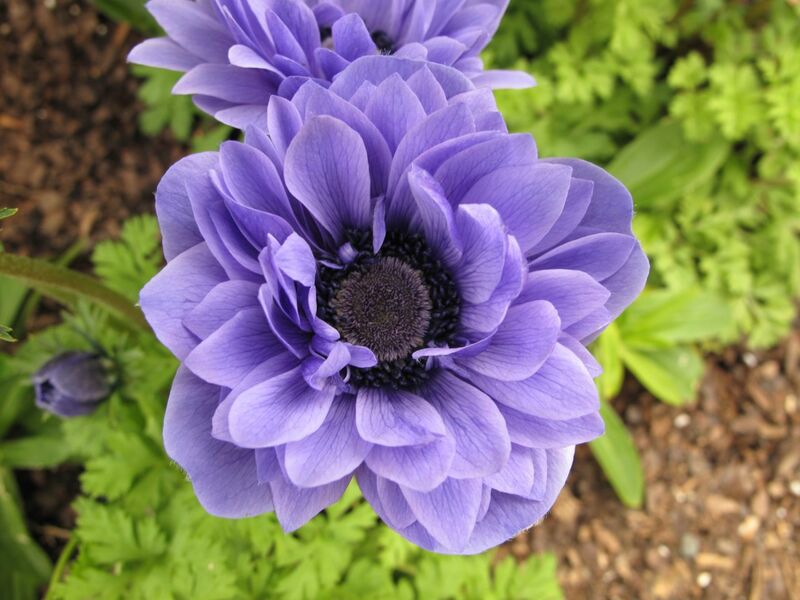 I love the Anemone coronaria ‘Lord Lieutenant’ you have pictured. I have them in my garden, they come and go so quickly. I wish I could find a way to make them last longer. 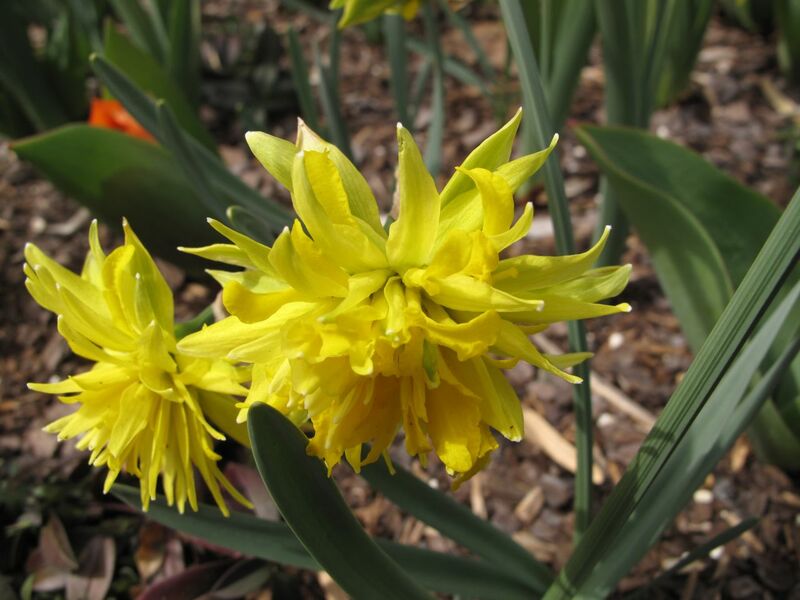 It is such a striking flower. I’ve never grown it but hope to get some soon.